I find that one of the best way for me is to look at what I could call “motivating decor”- pictures that give me ideas what to do as far as making our home festive for the season. It is helpful to check out a few pictures and get ideas and then consider where you need to decorate, how much room you have and which ideas will make the most sense. You also need to consider which ideas would negative impact space in your home – you don’t want your family and guests to be negotiating their movements around decorations – that would definitely spoil the effect you are trying to achieve. 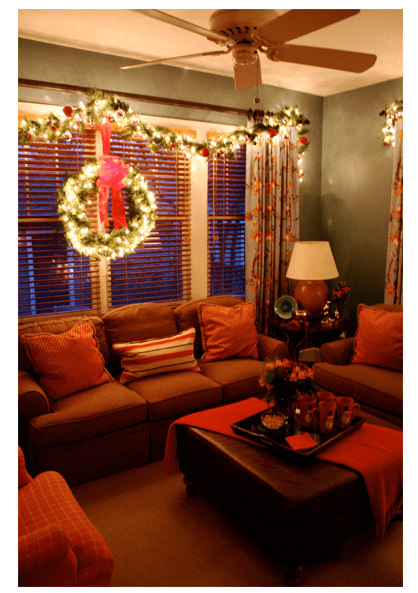 Also, consider children and pets, their curiosity and excitement of the season could change your decor in a hurry! This works really well when you want to create an unusual centrepiece for your table when not in use. The mini lights hang above an arrangement of Christmas Decorative Balls and bring out colours that really accent your decor. 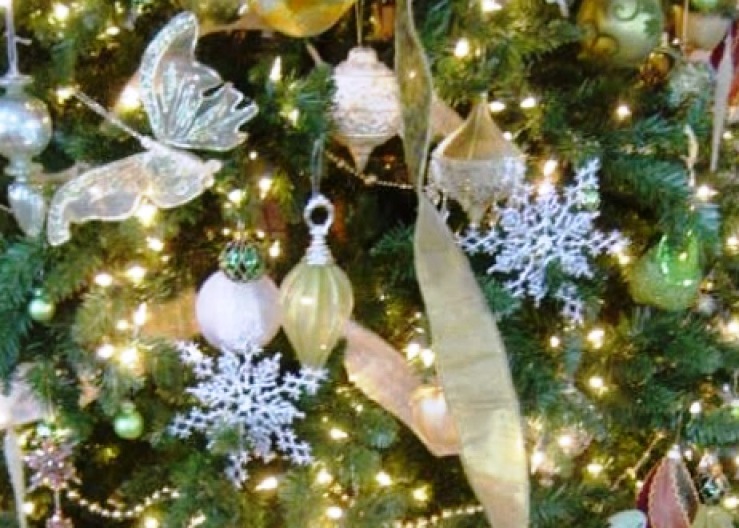 I have used this idea in a little different set up – I hung Christmas balls from a lighted ceiling fan at different levels, added decorative snowflakes and when the fan is turned on (low speed only or you will have a tangled mess on your hands!) the effect was beautiful. 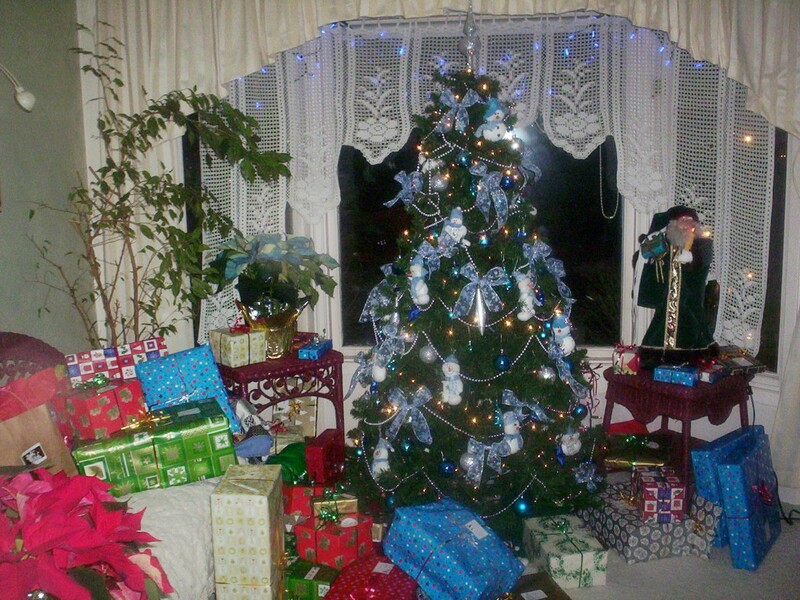 My little grandson loved it and I am going to use this idea again this year – this time, I will take pictures! I have tried in the past to introduce different colour to my personal Christmas decor – but there is something special about the traditional red and white – it says Christmas right away! I also find that hanging decorations – I really like these red stars and white snowflakes a lot – makes the room three-dimensional and adds beautifully to the atmosphere. 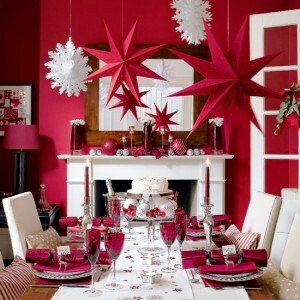 Pick a theme – whether it’s stars, snowflakes to anything else you prefer and carry that idea to adding it to your table. You will achieve a beautiful look without a doubt!And when you add either silver of gold touches, the effect is absolutely beautiful! This was the year when I decided that perhaps going away from the traditional reds and whites and turning to blue-white-silver combination is worth a try. That year’s motive was angels and I carried it in the decorations through the house. My tree stands in our front window and when lit, it adds to the outside decor beautifully. We have a short railing from the dining room to the upstairs level and I always decorate it, changing the colours of ribbons and adding other elements that go with the current theme. 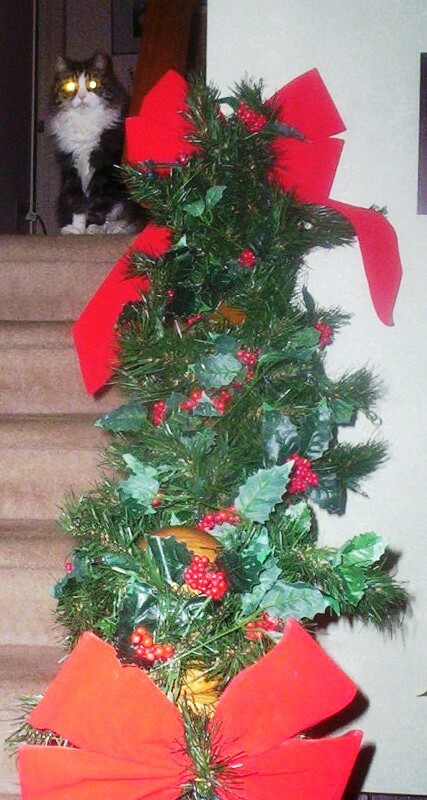 This one is from last year – I added holly berries and red ribbons – of course – the garland is lighted with mini lights. I just love the effect when those are the only lights on since the opposite side of the room has our Christmas tree. 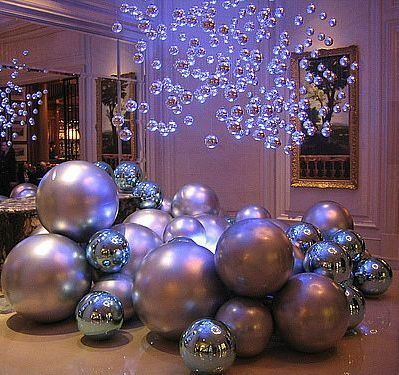 This picture took my breath away – this is the description of elegant, romantic Christmas decor if I ever saw one! 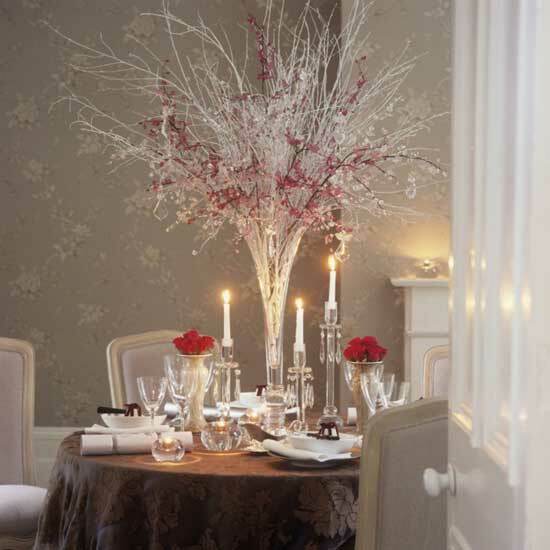 Simple and very effective for those who are planning a special celebration of the season for two! Here is an example of just how effective indoor lights can be – I love the lighted wreath under a lighted garland and all I am thinking is where can I put this kind of an arrangement in my house?